Oca (Oxalis tuberosa) is a high altitude Andean tuber crop native to Peru, Bolivia and surrounding countries. It grows well in temperate maritime climates and has been commercialised on a small scale in New Zealand. Its tubers are visually attractive, tasty and nutritious. It could become a useful addition to the range of tuberous crops grown in the UK and other parts of Europe with similar climates and has the added advantage of being cultivated in a similar way to the potato. It would fit well into organic or sustainable horticultural systems as it is not closely related to any other important crops and seems to be fairly disease resistant. Oca has been grown occasionally in the UK for over 150 years, but has never been a commercial success, for reasons outlined below. 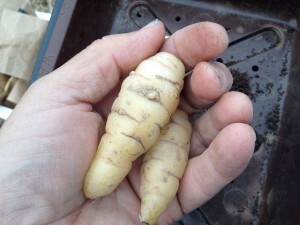 Tubers have recently become available to home gardeners through several seed companies and a few individuals have had success in growing plants from botanical seed. It seems that interest in oca growing is increasing at the present time. Oca, like the potato, is found at elevations of up to 4000 m in the Andes, which means it grows well in a cool temperate climate. Tuberisation does not begin until day lengths reach twelve hours or less, however, a reflection of the plant’s tropical origins. This means that yields are currently limited by falling temperatures, declining light levels and the incidence of killing frosts; soil conditions are often undesirably wet by the time the crop is worth lifting, making for difficult, muddy harvesting. For this reason, oca has remained a novelty crop in the UK. With selection for early tuberisation, it is possible that this failing could be overcome. The same process of selection over many decades is believed to have facilitated the adaptation of the potato, now a reliable, high yielding crop, to the long day summers of northern latitudes. An oca breeding club could speed up this process of adaptation considerably. In some regions of the Andes, potato and oca are intercropped or grown as a polyculture. 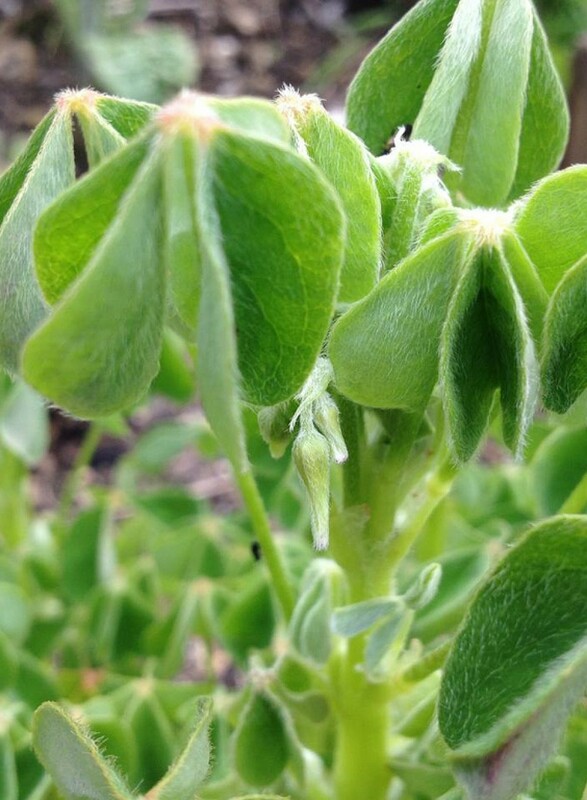 With the advent of suitable varieties, this could be attempted here and may bring benefits in terms of pest and disease reduction; oca could become a component of a diversified, revitalised food production system. Oca is a tristylous, octoploid outcrosser. This means that the flowers come in three forms with different length floral structures, each of which is self-incompatible; it has eight sets of chromosomes rather than the usual two. The result is that inheritance is a highly complex and unpredictable process; offspring from any crosses are very variable and the work required to develop elite lines through hand pollination is time-consuming and labour intensive. It’s a good job Mendel chose peas and not oca for his classic studies on inheritance. Flowering seems to be stimulated by a mild, maritime climate and growers in other areas often report a total failure of plants to flower. As a result, oca breeding has not progressed very far outside the Andes. The Guild of Oca Breeders aims to rectify this by using simple plant breeding methods.